This Bulldog is dignified but amusing, with a gallon of personality. A brief walk and a nap on the sofa, is definitely this dogs speed. 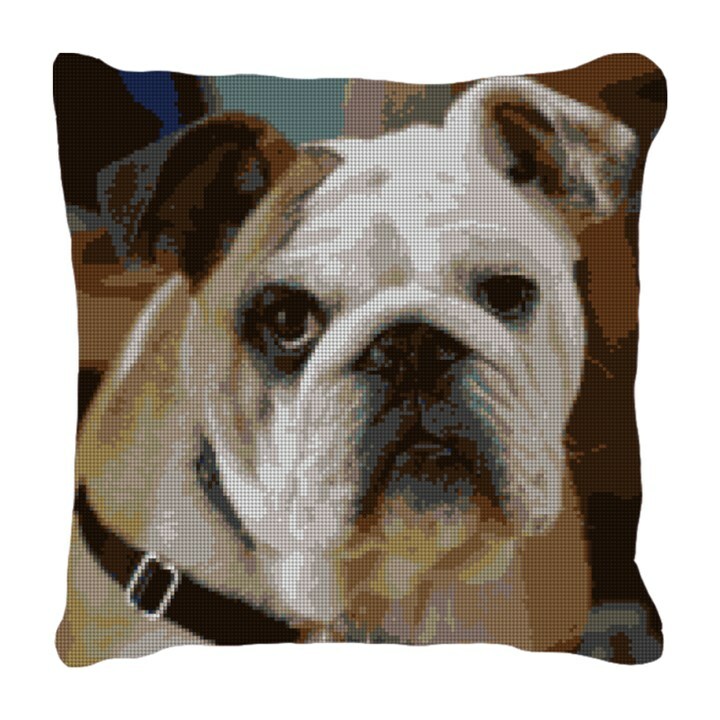 This pillow is a fun project to stitch, and will be sure to add some personality to your sofa.